Ever tried so many highlighters until you found that one that's like no other. 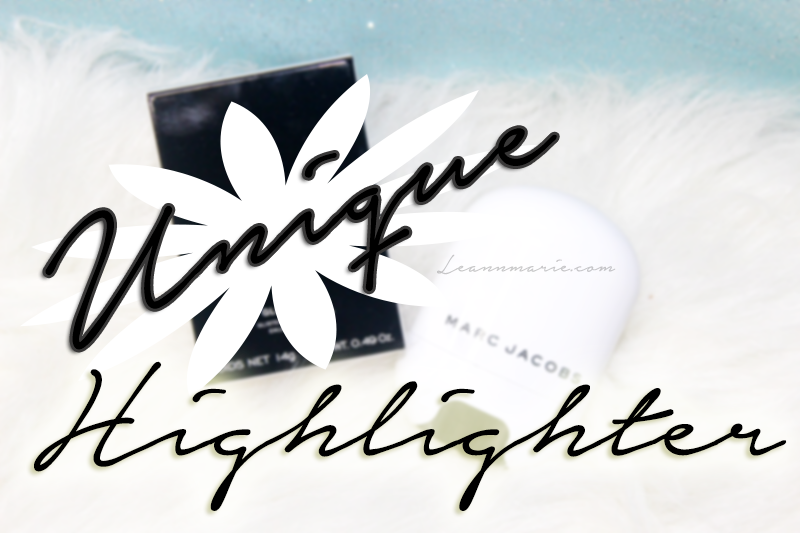 Yea, I'm going to be sharing with you my thoughts on Marc Jacobs Glowstick illuminator in the shade Spotlight. I find it to be like no other highlight I ever tried before, and I wanted to share it with you all. 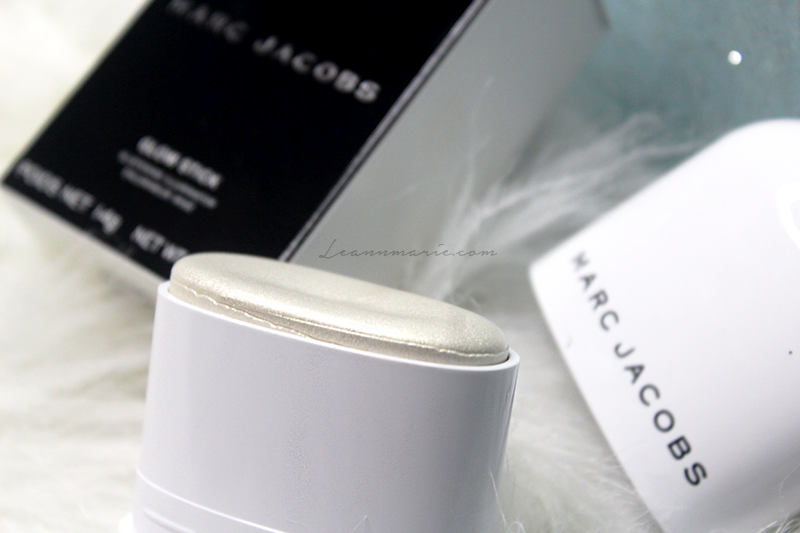 I was sent the Marc Jacobs Glow Stick Glistening Illuminator by Influenster. 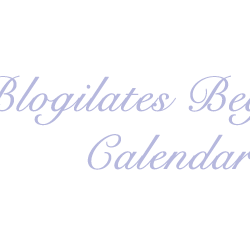 As with all blog posts, these opinions are completely mine and truthful. 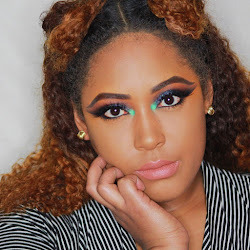 I played around with this product for about two weeks to see what the best method of application would be. So I will be sharing with you the best and worst ways to apply this product and how you can make the most of it. This product retails for $42 and you're getting .49oz of product. After using it for a few weeks, and intensely, I've only gotten a little dip in the product, nothing too big. The shade is in SpotLight, which is a universal glow for all skin tones. This is a cream highlighter and I call it unique because it's unlike any other cream highlighter that I do have. This highlighter has pearly gold and silver shimmers in it to give you the most radient looking skin ever. With different ways to apply it, you can really make it look like your skin is glowing from beneath, without any added texture. The shimmers in the highlighter are subtle yet powerful enough to pack a punch if you really layer the product. I find that this is also a good base for powder highlighters, because it will really make those colors shine out and stand out even more. Trust me, when I used Ofra x Dupe that highlight in You Dew You, my skin looked like I was a shining sun. I couldn't help but to avoid the overpowerness of that highlight. It's definitely a show stopper. 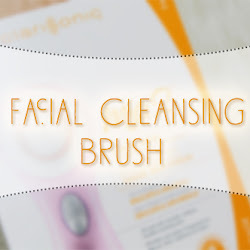 When I first got this product, it came with a little card that said not to apply this directly to your skin, but to use a brush or a sponge. So I tested out three different methods. Direct Application - With Direct application, the glow stick does come out well, but you're going to take a chance of getting whatever product you put on first, on your glow stick. For me, that was my entire face routine, foundation, powder, and all. It rubbed off completely on the stick getting my various products more on the stick, than the actual highlight on my face. A better way would be to use this before you apply your foundation. Be generous, the product will make it seem like your glowing even if you put other products on top of it. I would suggest using your fingers if you want more of a "direct" application or use it before your other products for an even better illumanting glow. Sponge - Ehhh.. I was iffy about using it with the sponge. I had to pack on a lot of product to get it to come onto my skin. My face product didn't transfer this way as with direct applicatioin, but it more suitable for a softer glow. If you use the tip of your beauty blender, you'll get a more direct and precise application. You can build it up and then easily blend it out with your sponge. I just feel like the sponge soaks up the product more depending on how you use it, and youll end up using more product. Brushes - At first I didn't like using a brush when I first applied this product. With a large fan brush, I was getting little to no pay off. Even with a small fan brush. I was getting the same results. So after playing around with it for a while, I decided to use the more dense part of my fan brush for application. Instead of using the tips, I would use the middle or the bottom of the brush. That way, I can really pick up product and place it well. That way, I felt like I could really get a nice hold of the product and I can control how little or how much I really want. I really prefered it that way, because I was able to get the product on top of my foundation without the foundation rubbing off. I think a nice stippling brush would also work well. Marc Jacobs does recommend one of their brushes for this product, but I don't have that brush so I can't test that out. However, applying with the dense part of the fan brush was my favorite way to apply this highlighter. Overall, I think this is the perfect go to highlighter. After learning how to work wth it based on how you like your highlight, I really think you will f all in love with it. 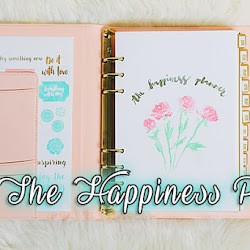 It is a little hard to use as first, but it is easily managable and you can work with it in whatever way works best for you. I think this is one of those splurge products but something I would personally purchase again if/when I run out of the product. It has becaome my favorite highlight that I just see myself grabbing whenever I do my makeup. 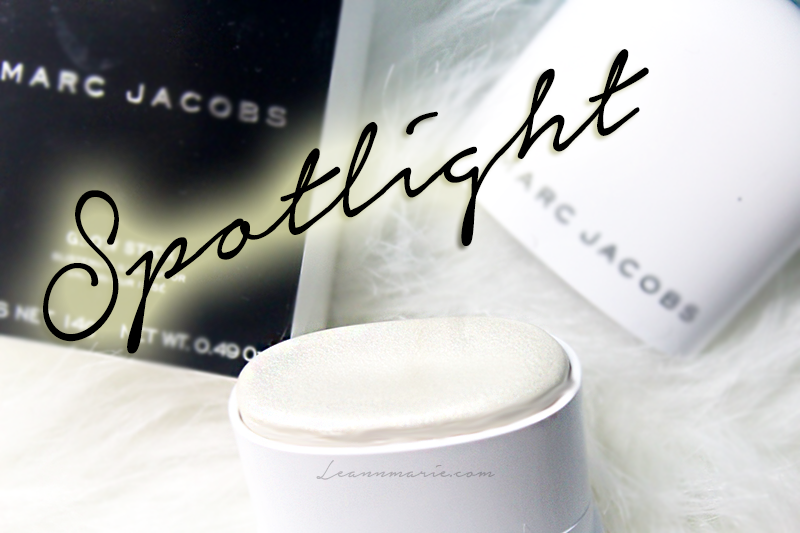 Have you tried this highlighter out? What are your thoughts on it? Leave a comment down below and I'll talk to you soon!